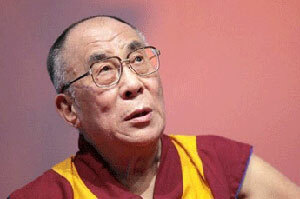 New York, USA -- The Dalai Lama recently announced his acceptance of a socialist government in Tibet run by the Chinese Communist Party, and his intention to play no political role once a settlement is reached; major concessions according to Nicholas D. Kristof of the New York Times (Aug. 6, 2008). I'm not an international relations specialist, so I can't evaluate Kristof's elaborate proposal for reaching agreement, but I am an expert about what it is like to meet face-to-face with the Dalai Lama, and why that is important now to break the decade-long deadlock in negotiations between representatives of the Dalai Lama and Chinese leadership. I am not a Buddhist nor a meditator. I"m a research psychologist who has spent 45 years examining how our emotions work, in particular how they are signaled in facial expressions. When I first met the Dalai Lama eight years ago he was hosting a weeklong meeting with a small group of scientists about "Destructive Emotions". His view of emotions was quite different from mine, arising from an intellectual tradition out of contact with Western thinking and research. I subsequently proposed that we meet one-on-one hoping that the contrast -- Western/Buddhist, scientific/spiritual -- might lead us to break through, with new ideas emerging about how we can improve our emotional life and enlarge the scope of our compassion. It did; but neither of us expected at the outset we would spend 40 hours in our intense exchange. I have never before spent 40 hours talking about a single set of ideas with anyone. Quite apart from the content of what we discussed I came to know intimately what it is like to talk to this man, and as an expert observer of the minutiae of facial expressions, his emotional disposition. Where to start? He has amazing concentration, which he maintains for hours seemingly without a moments distraction - it was contagious, so my mind never drifted, not even for a second, which is quite unusual for me. He has keen analytic capabilities, trained as an expert debater who sees all sides of every issue, who finds the exception to every rule, and without hesitation abandons long held views when shown new information or compelling argument. He rejoices in new approaches, new ideas. He is the epitome of flexibility. Another of his characteristics is hard to conceive of from either a Western or Eastern viewpoint: the Dalai Lama lacks any concern for status, for how you acknowledge him. He truly thinks of himself as a Buddhist monk, with just "a bit of knowledge". And his sense of humor is legendary, never at anyone's cost, and very contagious. In addition to studying emotion I have also developed expertise about when and why lies occur, succeed or fail. The Dalai Lama is without guile; he is not only trustworthy, but also trusting almost to a fault, in the sense that a ruthless person could exploit him. Usually leaders to do not meet until subordinates have worked out all the details; but the subordinates have failed to reach an agreement about the future of Tibet. It is time for the leaders. The Dalai Lama is the ideal person with whom to negotiate in good faith to find new solutions: amazing powers of concentration, flexible not dogmatic, modest, trustworthy and trusting. Last Spring Prime Minister Gordon Brown, French President Nicolas Sarkozy, and German Chancellor Angela Merkel called for such a meeting. What better way for China to lead, following its triumph -- no matter who wins how many medals -- from this great Olympic event it has hosted. Dr. Paul Ekman is professor (emeritus) at the University of California, San Francisco. His new book, "Emotional Awareness: Overcoming Obstacles to Psychological Balance and Compassion, the Dalai Lama in conversation with Paul Ekman" will be published in September by Times Books.